Your old flooring is beginning to show its age. Dust and grime are common, and the tiles are starting to curl and show wear. It’s time for professional tile removal service in Burleson, TX. You need American Flooring Removal on the job. We are the top-rated flooring specialists in the region, known for delivering quality, dust-free tile removal for homeowners seeking results. We’ll prevent any mess in your home, all while opening up new possibilities for your floor. There comes a time in every homeowner’s life when their old flooring is not doing the job. American Flooring Removal is committed to providing you with exceptional flooring removal services. We eliminate the mess, so you may focus on what comes next. Furthermore, our flooring experts have vast experience with all types of flooring materials. We can successfully remove tile flooring, natural stone, stained concrete, ceramic tile, hardwood, and more. 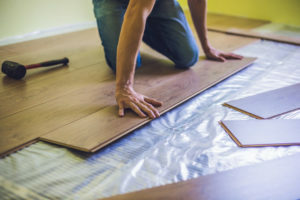 Anything you need, our flooring technicians will have you covered! Homeowners like yourself choose American Flooring Removal for a number of reasons. From our affordable pricing to the quality of our customer service, there are no downsides to working with our flooring experts. When you need tile removal done right, you need American Flooring Removal. We’ll get the job done the first time, without any hassle or extra costs to you. Burleson is a relatively small city in the heart of Texas. It is considered a suburb of Fort Worth but has a life all its own. homeowners in Burleson are within driving distance of all the top attractions in the area. Take advantage of exceptional tile floor removal in Burleson, TX, with American Flooring Removal. Give us a call at 469-556-3936! We serve entire Burleson, TX 76028, 76058, 76097. I will admit the thought of removing ceramic tile was nerve racking and to think the amount of dust goes along with the removal. The team at American Floor Removal put all that to ease, they did an amazing job, paid tremendous amount my detail to dust control! Great service, will use these guys against and recommend to my friend for use!